Laws regarding drunk driving vary from state to state, although all states in the U.S. have increased penalties for drunken driving in recent years. If you have been arrested for driving under the influence or if you regularly get behind the wheel while drinking alcohol, you may want to familiarize yourself with the details of the drunk driving laws in your state. These laws take into account more that what your blood-alcohol content is while you are driving, they also outline what your penalties might be and what requirements you may have to meet to have your driver's privileges returned. Most states have laws on the books to address these following issues. Every state in the U.S. and the District of Columbia now have per se drunk driving laws, which means that if a driver is found to have a blood-alcohol content (BAC) of 0.08 or greater, that driver is guilty of driving under the influence based on that evidence alone. Every state in the U.S. and the District of Columbia has a law setting up the blood-alcohol content of 0.08 as the level of being legally intoxicated. However, there is an effort by advocates to further lower that limit to 0.05 or lower, as it is in most European countries. All 50 states have zero tolerance laws that charge drivers under the age of 21 for operating a motor vehicle with BAC levels as low as .01 or .02. In some states, an underage drinker can be charged drunk driving even with a BAC level of .00, if the arresting officer smells alcohol on the driver. Many states, if not all, have laws that increase the penalties for drivers whose blood-alcohol content levels are recorded at a certain level over the legal limit. 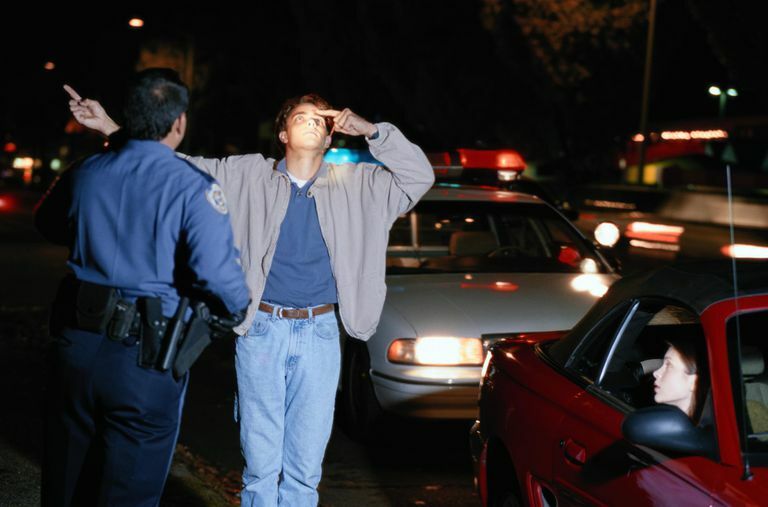 Usually, if someone has a BAC of 0.15 or 0.20 the penalties for DUI are enhanced. In all states, when you apply for a driver's license you are giving your implied consent to take field sobriety tests if asked and submit to breath tests. You can refuse to take those tests, but implied consent laws set up penalties for refusing which are on top of any penalties for driving while intoxicated. On June 23, 2016, the U.S. Supreme Court allowed to stand lower court rulings that states may not use implied consent laws to force driver's to take more intrusive blood tests for DUI. Police must obtain a valid search warrant to obtain a blood test from a suspected drunken driver. The same ruling, however, allowed implied consent laws for breath tests to remain intact. Many states have laws prohibiting the possession and drinking from an open alcoholic beverage container from inside a vehicle or in public places. In most states, no one in the vehicle can have an open container, but in a few states, only the driver is prohibited. All states have laws which allow your driver's privileges to be suspended or revoked if you are driving under the influence. In most states, the suspension of your license is an administrative action by the Department of Motor Vehicles or similar agency and not a criminal penalty. Therefore, in certain circumstances, your license can be suspended before you are found guilty in a court of law, for example, if you refuse a breath test. What differs from state to state is how long the license is suspended and what is required to get your license back. Many states have provisions to allow drivers to apply for a hardship license even when their driving privileges have been suspended. The hardship license generally allows the driver to drive only to work, to church, or to an Alcoholics Anonymous meetings. These laws vary widely from state to state. Most states have laws requiring mandatory jail time for some level of violation of driving under the influence. For example, some states require that repeat DUI offenders serve some jail time. However, more and more states are moving toward mandating some jail time for the first DUI offense, even if it is only 24 hours behind bars. However, jail time is usually reserved for a drunk driver with multiple convictions or for those who injure or kill someone as a result of their driving while intoxicated. In all states, if you are convicted of DUI, you have to meet certain requirements before you can legally drive again. It many states this involves being evaluated for a drinking problem, attending educational classes (usually know as DUI school), and depending on the evaluation, attend a number of A.A. meetings or some other treatment program. These steps are not mandatory, you don't have to go to classes or A.A. But, in many states, you have to if you want your license returned. To ensure drunk drivers do not continue to drive while intoxicated, more and more states are requiring that ignition interlock devices be installed on their vehicles. Some states require them for repeat offenders, but more and more states are requiring them for first-time offenders. In all states, the offender has to pay for the costs involved in installing and monitoring the devices. What varies from state to state is how long the devices have to be used and at what point they have to be installed—first, second, or third offense. As anti-drunk driving advocates push state lawmakers for greater and greater penalties for drunk driving, some states have passed laws that allow for the vehicle of those with multiple DUI conviction to be confiscated and impounded. Depending on the state, the confiscation can be temporary or permanent.